Fragmented environmental legislation, vertical and horizontal inconsistencies, and a weak rule of law highly affect our pathway towards a sustainable development of our marine resources and environment. 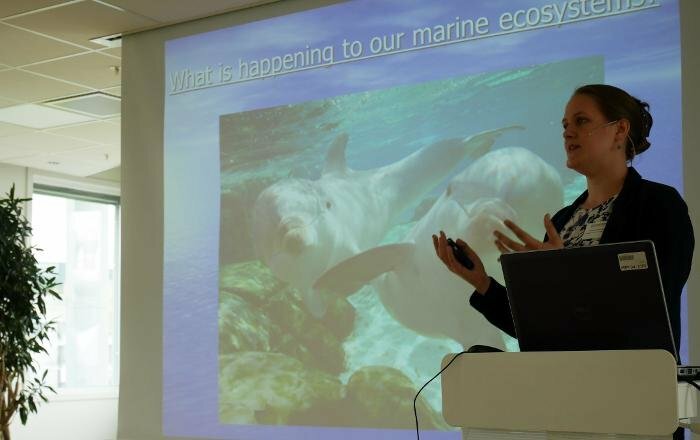 A recent seminar gathered experts to discuss the effects of fragmented environmental law, shared experiences from different areas of marine and coastal environmental and natural resources law and from selected European countries, and discussed potential avenues to tackle identified challenges. 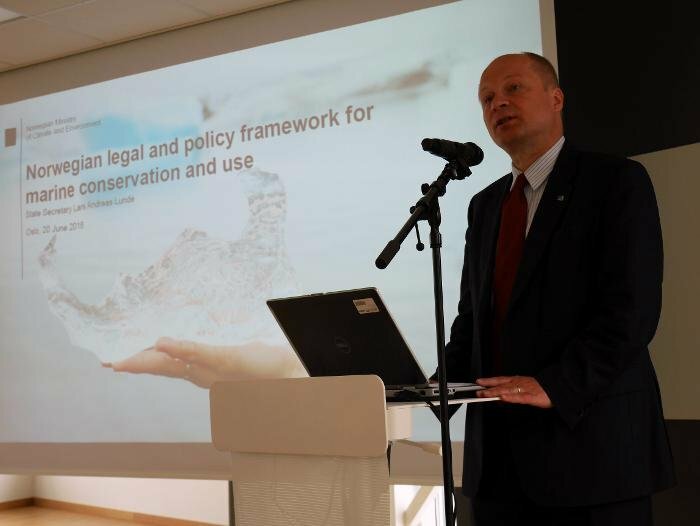 The seminar on 20th of June was coordinated by the Norwegian UNESCO committee and NIVA – The Norwegian Institute for Water Research - at Oslo Science Park. A venue which, among others, hosts CIENS - Oslo Centre for Interdisciplinary Environmental and Social Research. Please scroll down for presentations in pdf. Fragmented environmental legislation, vertical and horizontal inconsistencies, and a weak rule of law highly affect our pathway towards a sustainable development of our marine resources and environment. This concern has been raised globally in the process towards the new global Sustainable Development Goals (SDG), and some solutions proposed in SDG 14 - Conserve and sustainably use the oceans, seas and marine resources. On the EU level the Marine Strategy Framework Directive is an attempt to ensure larger consistency in environmental law for European seas, building upon the parallel EU Water Framework Directive. Yet for a number of sectors, such as aquaculture, fragmented law and governance still pose considerable challenges. This side event of the IUCN Academy of Environmental Law Colloquium 2016, organized as a seminar, was organized in conjunction with the release of a book published by Routledge in May 2016, entitled ‘Environmental Law and the Ecosystem Approach: Maintaining Ecological Integrity through Consistency in Law’ by Froukje M. Platjouw, alumni of Univ. of Oslo and Research Scientist at NIVA. The seminar, which gathered around 35 participants, was co-funded by the Norwegian UNESCO committee and the EU H2020 TAPAS Project. Lars Andreas Lunde, State Secretary, Ministry of Climate and the Environment (Photo: Frode Sundnes, NIVA).